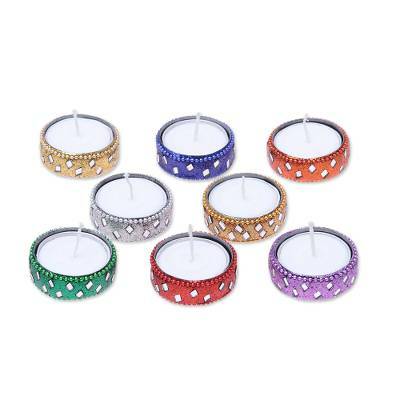 Sparkle and shimmer abound in this set of eight tea lights in assorted colors presented by Arti Sharma of India. 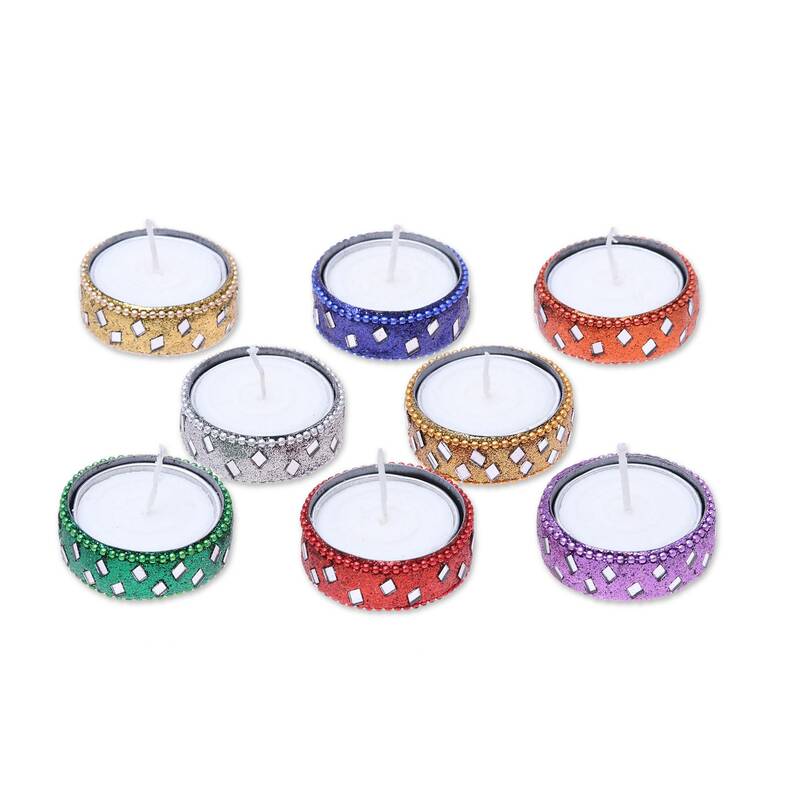 Each round tea light candle has an aluminum frame coated in luminous resin embedded with small diamond-shaped glass pieces and glitter and ringed by color-matching plastic beads. Each (8): 2 cm H x 4.5 cm Diam. Each (8): 0.8" H x 1.8" Diam.